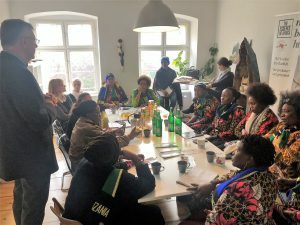 “Female Entrepreneurs Meet German Private Sector” – this was the motto of a visit to africrops! by a group of 10 Tanzanian businesswomen who run successful small and medium-sized enterprises in the agricultural sector. 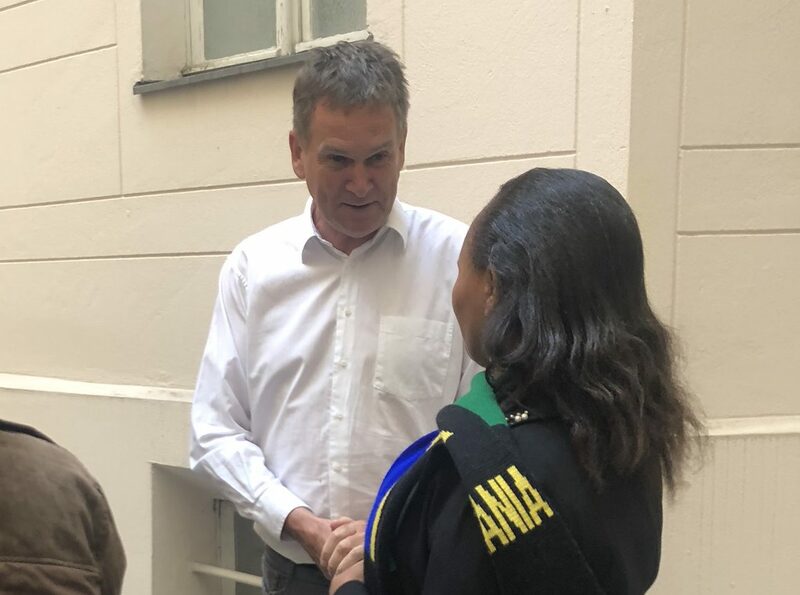 The visit took place as part of a business trip to Germany organised by the Tanzanian Country Office of the German Delegation of Industry and Commerce. It was sponsored by the German Federal Ministry for Economic Cooperation and Development (BMZ) and the Deutsche Gesellschaft für Internationale Zusammenarbeit (GIZ). 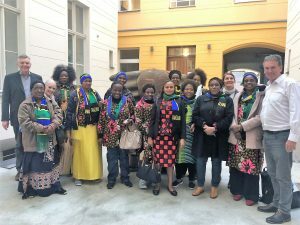 The aim of the trip was to promote Tanzanian women entrepreneurs in their business activities so that they can contribute profitably and independently to the local economy in the future. The company visits aim to establish new business networks, gain access to new technologies and help the businesswomen familiarise themselves with an industrialised business environment. On the programme were further visits to German companies, including to a company that is involved in the packaging of africrops! products. The participants can get an idea of the processes involved in packaging and filling according to German quality standards. These insights should help the women to optimize the processing of agricultural products back in Tanzania. The main purpose of the round table discussion in the africrops! office was to familiarise the participants with the africrops! business approach and to show them that high-quality African organic products can generate a great demand on the German and European markets. Furthermore, ideas were collected as to what a potential cooperation could look like and whether the represented entrepreneurs could become future suppliers for us.